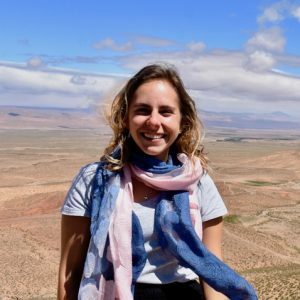 I am an undergraduate majoring in Biology and Environmental Science & Policy at Duke, who spent a semester at the Marine Lab campus and took the Community-Based Conservation field course. I have always been interested in the impacts that humans have on ecological systems, but through the mentorship of Dr. Basurto, have been drawn to study the social systems that affect those ecologies in turn. Specifically, I aim to integrate both political ecology and marine conservation into my work. In addition to studying climate justice through the International Honors Program and working as a fisheries intern in Palau this summer, my senior thesis research project focuses on snapping shrimp behavior as an invertebrate proxy for the effects of noise pollution on oyster reef community ecology — a substantial nursery and profitable east coast fishery. Aside from research, I am the vice-president of Duke’s Sustainable Oceans Alliance, a Duke Marine Lab Ambassador, and an avid SCUBA diver.